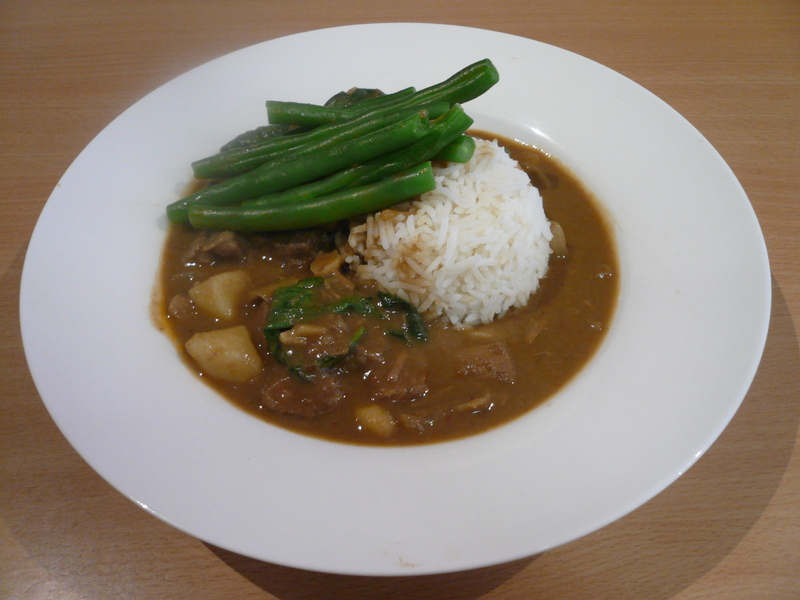 My friend Julie contributed this lovely mild curry recipe and I’m so pleased with the result! Originally from Charmaine Solomon’s Hot & Spicy Book, the whole thing was very easy to make and so tasty. It cooks on the stove for quite a while but pretty much uses just the one pot – and it was no trouble to do other jobs around the place while this yummy curry simmered away. The recipe that follows cost around $25 to make but made no less than 3L, which, served with rice serves approximately 15 people. This recipe is delightfully freezer friendly and can be made in advance for church dinners, weekend hospitality or keeping in the freezer. Thanks for sharing, Julie! 1. Put chuck steak in large saucepan or stovetop casserole pot with one tin of coconut milk and one tin of water. Add more water if the steak is not covered. Simmer on very low heat with lid on for one and half to two hours, until steak is almost tender. Remove beef from saucepan and set aside. Keep all the liquid. 2. In the same pan heat one tin of coconut milk until thick and oily and slightly reduced. Add curry paste and cook until fragrant. 3. Add meat and liquid back in with sauces, sugar, onions and potatoes and cook approximately 45 mins until potatoes are cooked and liquid has reduced and thickened slightly (If using pumpkin, don’t add until 20 minutes before serving). 4. Add peanuts and basil leaves just before serving. Serve on rice with green beans or broccoli. Having had some requests for some sugar free recipes, I thought I’d share this one. I make this modified banana bread (originally another Nigella recipe) in muffin sizes for my kids lunches all the time and the best part is I know that the only sugar in it comes from the bananas themselves. This recipe calls for stevia instead of sugar and you can buy it in a variety of granulated brands in the sugar aisle next to the artificial sweeteners. The exciting thing about stevia is that it’s totally natural so there’s no bad after taste and it’s also much sweeter than sugar so you really only need 1/4 of the amount you might normally use when baking with sugar. Preheat the oven to 170ºC/gas mark 3 and get started on the rest. Put the flour, baking powder, bicarb and salt in a medium-sized bowl and, using your hands or a wooden spoon, combine well. In a large bowl, mix the melted butter and stevia and beat until blended. Beat in the eggs one at a time, then the mashed bananas. Then, with your wooden spoon, stir in the vanilla extract. Add the flour mixture, a third at a time, stirring well after each bit. 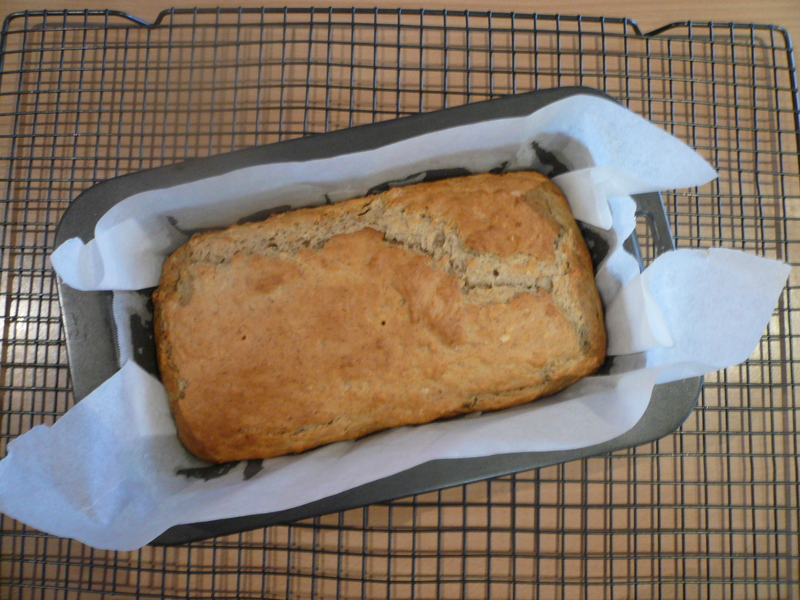 Scrape into the loaf tin and bake in the middle of the oven for 1-11/4 hours. When it’s ready, an inserted toothpick or fine skewer should come out cleanish. Leave in the tin on a rack to cool, and eat thickly or thinly sliced, as you prefer. Yesterday I was the grateful recipient of a ‘day off’ by myself. My husband ordered me to ‘go to a cafe and read a book’ which I readily agreed was a wonderful way to use some of the day. Beforehand, I found a copy of Donna Hay’s No Time To Cook, and having used it a number of times, sat down to read it like a novel, page by page. By the end I was inspired by a number of the recipes, especially this one. Normally a yummy vegetarian dish, I knew my husband would prefer it with the addition of mince, and the result was a less stodgy and much healthier lasagne. 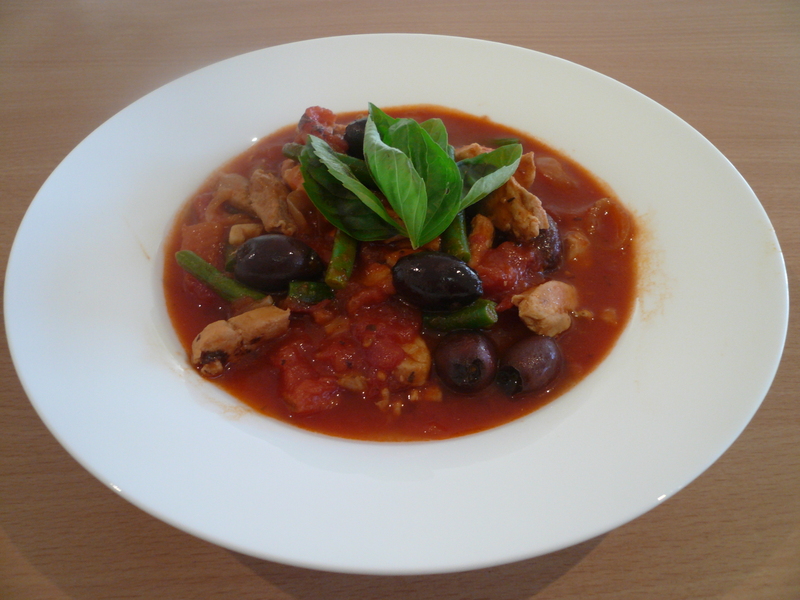 With 750g of mince added to the passata sauce this dish costs around $16 and around $11 if you keep it vegetarian. Serves 10. Preheat oven to 180C/160C fan/gas 4. Combine ricotta, half the grated parmesan, chives, basil, lemon rind, salt and pepper in a bowl and mix well. Stir oregano into passata. 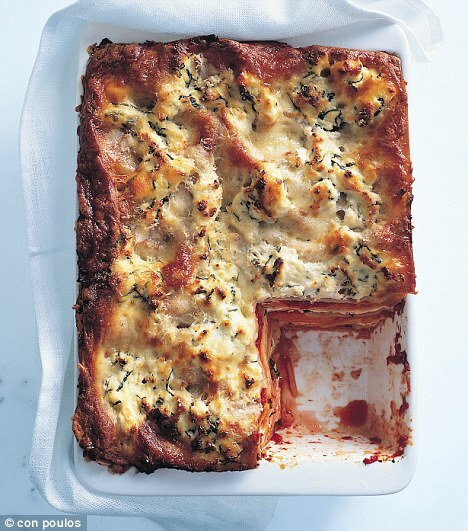 Place a layer of lasagne sheets into the base of a greased 20cm x 35cm baking dish (about 7cm deep, 3.5-4 litre capacity). Top with a third of the pumpkin and spoon over a third of the passata mixture. Top with a third of the ricotta mixture and another layer of lasagne sheets. Repeat layers, ending with a layer of lasagne sheets and the remaining ricotta mixture. Sprinkle with mozzarella and the remaining parmesan, cover with aluminium foil and bake for 1½ hours. Katrina put me onto this soup recipe a few weeks back and I thought I’d give it a go today. I tried it today because we’ve got a big week ahead (one of our kids is having their tonsils and adenoids out tomorrow), I wanted a meal to give away and I wanted to put the rest in the fridge for the number of lunches and dinners we’ll need quickly in the days to come. For all these reasons, I doubled the quantities and I really enjoyed the ease of this recipe – it only took around 20 minutes of peeling and chopping before sticking it on the stove to simmer. The ingredients list tells you to use chicken lovely legs, but today at my butcher, drumsticks were on special and lovely legs were not. I decided the saving in cost was worth the 5 extra minutes to remove the skin from each drumstick, and seeing as the recipe requires the removal of bones, I figured it didn’t matter that each leg was not shortened. The end result was yummy, full of good meat and healthy vegetables. Total cost, less than $8 and feeds 6-8. Thanks for the link, Katrina and thanks taste.com for the recipe and photo. Heat oil in a large saucepan over medium heat. Add leek and garlic. Cook, stirring, for 2 minutes or until soft but not coloured. Add carrot, celery, zucchini and swede. Cook for 2 minutes. Stir in soup mix, stock, chicken and 1 cup cold water. Increase heat to high. Bring to the boil. Reduce heat to low. Simmer, partially covered, stirring occasionally, for 1 hour or until soup mix and vegetables are tender. Remove chicken legs from soup. Allow to cool slightly. Remove meat from bones. Roughly chop chicken meat and add to soup. Season with salt and pepper. Ladle soup into warmed bowls. Serve with bread if desired. Packet dry soup mix is a combination of split peas and lentils. You can find it near the chickpeas in the supermarket. I first came across this recipe in Donna Hay’s Instant Entertaining and it’s now one of my favourites for large group catering, freezing for later or giving away when someone needs a meal. It’s such a hands-off recipe and is so versatile, allowing you to add whatever flavours you like. Tonight I’ve added chicken, sun-dried tomato and mushroom, though I’m keen to try it with ham, roast pumpkin and pine nut. The possibilities here are endless, so go with whatever you like or what needs using up in your fridge. For this variation, I added the sun-dried tomato strips to the stock and rice at the beginning so that they were nice and tender to eat and allowed about 50g of chicken per person. Total cost less than $10 and these quantities feed 12. 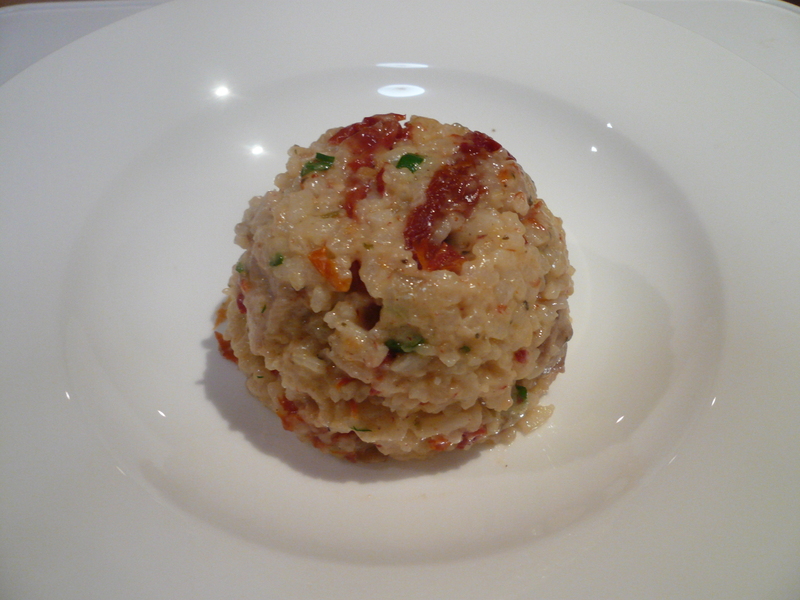 Place rice and stock (and sun-dried tomatoes) in a large roasting dish and stir to combine. Cover tightly with foil or a lid and bake for 45 mins or until most of the stock is absorbed. While the rice is cooking, cook up whatever add-in elements you like (in this case, fry the pieces of chicken and saute sliced mushrooms). Pull rice out of the oven, stir in the parmesan, butter and salt and pepper. Stir for 3-4 minutes until the risotto is thick and creamy. Add in extra elements and stir again. Add extra flavour with a handful of finely chopped parsley and spring onion. Serve with a side salad or top with steamed greens. I first tried this recipe when a lovely friend provided us with this meal after the birth of our daughter. I’ve adapted it a little and added beans for a little extra nutrition. This is a quick recipe to make and costs around $7. Serves 4+ and is really easy to adapt for bigger groups by allocating 100g of chicken per person (thanks for this maths tip, Cynth!). 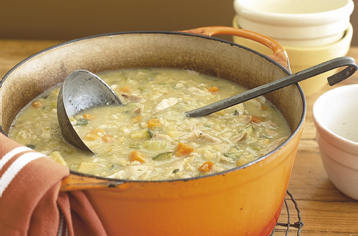 This recipe is also dairy, egg and gluten free if you go with white wine instead of stock. Heat oil in a large frying pan over high heat. Add the onion and garlic and cook for 2 mins until soft. Add the chicken and cook until brown in colour. Add the tomatoes, wine/stock and sugar. Simmer over low heat for around 10 mins so chicken cooks all the way through. Add a handful of green beans and simmer a further 5 minutes. Just before serving, throw in the basil and olives. Season with salt & pepper. Serve on rice or mashed potato.